Image Number: See Reference 2 below. Comments: John Barclay Moon was born in Albemarle County, Virginia, on July 20, 1849, and was the son of Robert Barclay Moon (1819-1891), a civil engineer, farmer, and surveyor, and his wife, Mary (Massie) Moon (1821-1911). Mary was the daughter of Nathaniel and Susan (Woods) Massie of "Spring Valley", a plantation in Albemarle County. In the early years of his life, John Barclay Moon assisted in the cultivation of his father's farm. He attended the Scottsville school conducted by D. P. Powers and afterwards was a student at Washington and Lee College in Lexington, VA, from 1863-1868. John Barclay began the study of law in Scottsville in the office of his uncle, Schuyler Moon, and was admitted to the bar, and practiced in Senator Thomas S. Martin's law office for a year or two. In about 1880, John Barclay moved to Charlottesville where he entered into practice with his brother-in-law, Walter D. Dabney for a number of years and established himself in his profession. John Barclay was elected to the Virginia House of Delegates in 1881, 1883, and 1893. During his service in the general assembly, he was Chairman of the Finance Committee and the Railroads Committees in the house; was commissioner for Virginia to settle the direct tax which the U.S. Government refunded to Virginia in 1892-93. 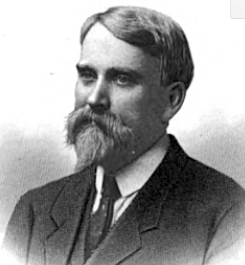 In 1895, John Barclay was chosen Chairman of the commission for the settlement of the old debt of the original State of Virginia with the State of West Virginia, a question involving the liability of West Virginia that was contracted prior to the erection of West Virginia into an independent commonwealth; John Barclay served in that Chairman role on the committee through 1906. John Barclay also served as the Chairman of the Albemarle County Democratic committee for some years and served as Chairman of the Board of Supervisors of Albemarle Co. for about 12 years. John Barclay was also elected attorney for the Commonwealth for Albemarle County, however, he resigned this office. John Barclay Moon was a Democrat, who never changed his political allegiance, was active in his service to democracy, and prominent in the councils and management of his party. He was a member of the Masonic fraternity and served as master of the two lodges with which he was affiliated, namely the lodge at Scottsville, and the lodge at Charlottesville. John Barclay was also a member of the Elks organization. On March 20, 1878, John Barclay Moon married Marion Gordon Dabney (1858-1911), who was the daughter of Major William S. Dabney and Susan Fitzhugh (Gordon) Dabney of "Dunlora" near Charlottesville, VA. John Barclay Moon and Marion Gordon (Dabney) Moon were the parents of eight children: Mary Livingston Moon, Jane Bell Moon, Basil G. Moon, Esther Caruthers Moon, Agnes Gordon Moon, John Barclay Moon, Anne Douglas Moon, and Sally Dabney Moon. John Barclay Moon passed away on February 20, 1915 at their Dunlora home, and Marion Gordon Moon passed away on August 24, 1911, at Dunlora; John and Marion Moon are both buried at Moon Cemetery in Albemarle County, VA. The Dunlora home of John Barclay Moon and Marion Gordon (Dabney) Moon was destroyed by fire in 1916. 2. Men of Mark in Virginia, Vol. 3, p. 271-274 (Washington, DC: Men of Mark Publishing Co., 1907). 3. Encyclopedia of Virginia Biography by Lyon Gardiner Tyler, Vol. III, PP. 325-326 (New York: Lewis Historical Publishing Co., 1915). 4. Marriages of Albemarle County and Charlottesville, Virginia, 1785-1929 by William L. Norford, (Charlottesville, VA: Jarman Printing Company: 1956), p. 1371. 5. Moon Cemetery, Albemarle County, Virginia; Find A Grave, database and images; (https://www.findagrave.com/memorial/85695683/john-barclay-moon/photo; memorial page for John Barclay Moon (20 Jul 1849-20 Feb. 1915), Find A Grave Memorial 85695683).